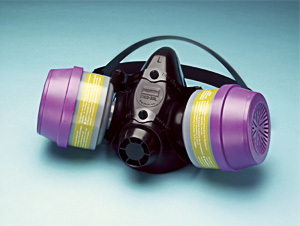 The North 7700 Series is the best selling and most comfortable half mask respirator available today. The facepiece is made of soft, hypoallergenic silicone. Three facepiece sizes make it easy to find a proper fit. The North 7700 cradle suspension system also adds to the comfort of this respirator, and gives an even seal without creating pressure points. The low profile of the North 7700 gives workers a wide field of vision and room for protective eyewear. Its low inhalation and exhalation resistance makes breathing easier. Separate P100 cartridges required for use.